If you haven’t taken advantage of Divi’s new background options interface, you are missing out. The background design possibilities are astounding. But wouldn’t it be awesome to have the same powerful design options for our buttons? If the answer is yes then I think you are going to love this post. Here are the example button designs covered in this post. Using the Visual Building, add a regular section with a one column row. Next add a Button Module to the row. You can’t see anything on the page right now because your button border and text is white. 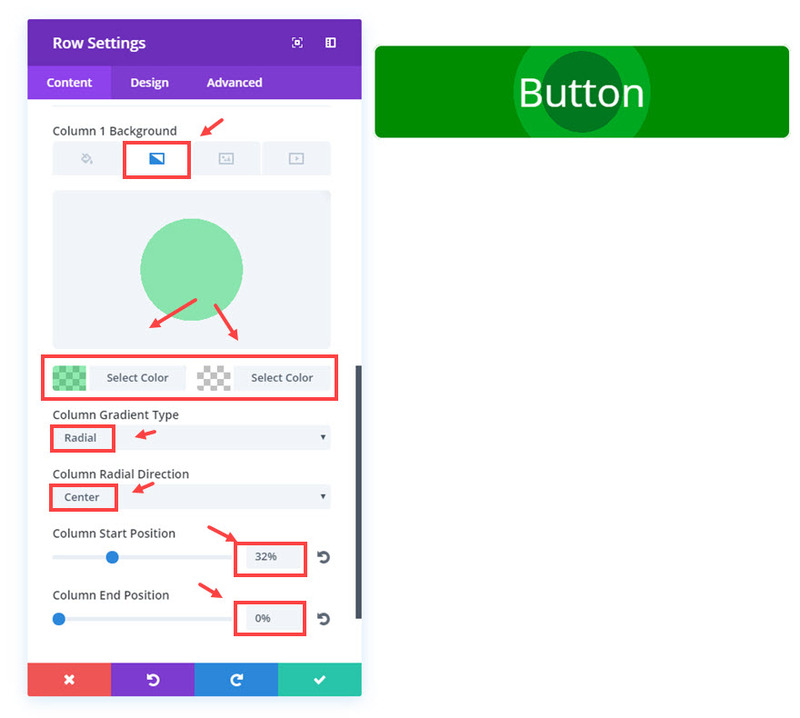 Instead of styling the button’s background color using the button module settings, we are going to customize the background color of the row/column behind the button using the more advanced background options. We will be revisiting the button module settings once we start doing more specific designs on the buttons. But for now, let’s finish setting up the row. 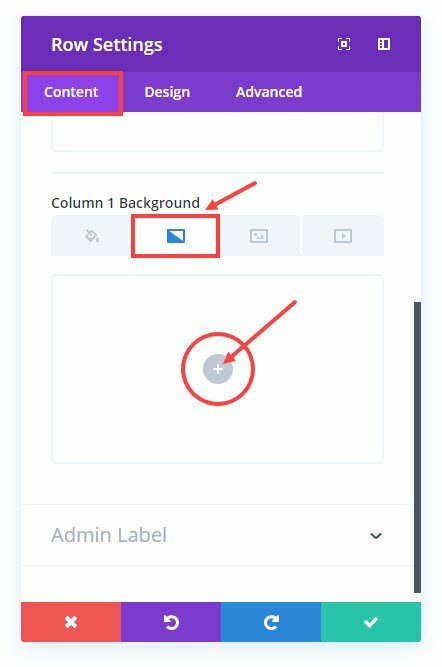 Select the Column 1 Background Gradient tab and then click the gray circular button with a white plus symbol. Now you should see the default gradient colors show up behind your white button. The column is fitting nicely behind our button now, but we need to decrease the width of the button. To do this we are going to use the row sizing settings. 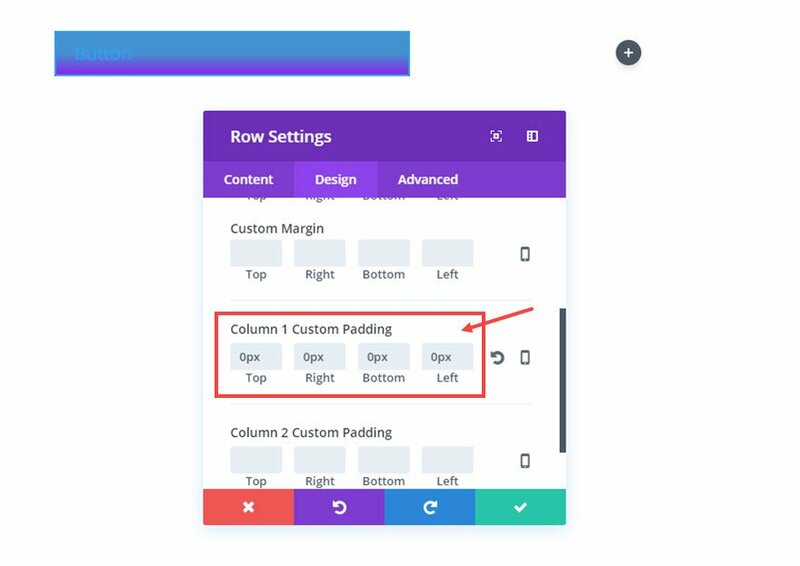 By setting a custom width for our row, we also set the width of our button. Now that the Row settings have been updated to have a custom width and padding, two things have been accomplished. First, we have successfully set a custom width for our button. And Second, we now have another layer of background options we can use to style our button. That’s a total of 3 background layers (button, column, row) we could use for styling later on. Here is an illustration of how the button is currently built. That’s it for the basic setup. Now it’s time for the fun part of creating awesome designs for your buttons. 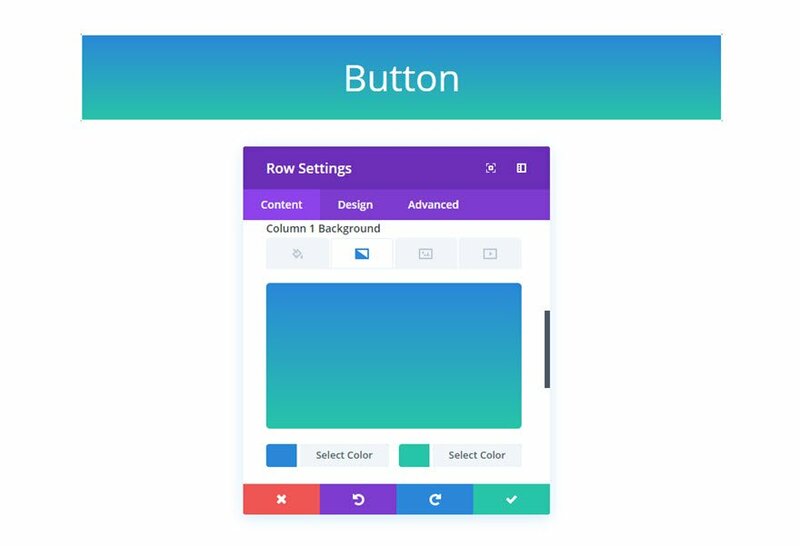 To create this button, you are going to use all 3 layers, the row background for the video, the column background for the gradient, and the button background for the slight blue overlay. Now the only problem we have left is the border radius of the video background. We have to add some custom CSS to give the video a border radius that matches the button. This extra code is only necessary for the video background button. Tip: Another cool design option is to have the video show on hover. Just give your button module a solid background color and change it to transparent on hover. That’s it! Now you have a button with a video background. The checkered button requires using two layers (row and column) of background color gradients. 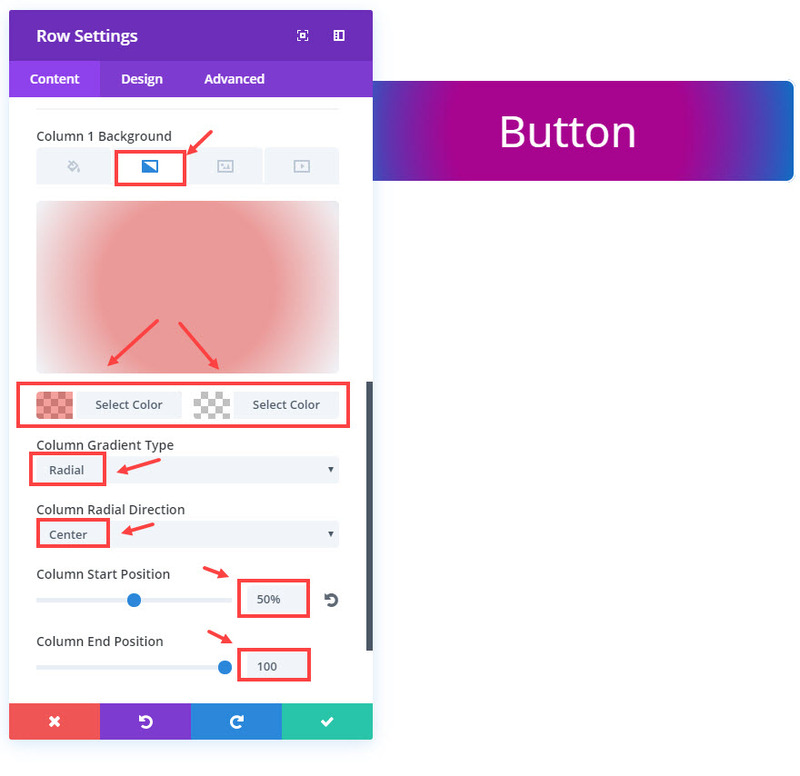 To create this button, you are going to use 2 layers, the row background for the first level of gradients and the column background for the last layer of gradient color. Now you know how to add a checkered effect to your buttons. To create this button, you are going to use 2 layers (row and column) of background color gradients. To create this button, you are going to use 2 layers (row and column) of background color gradients. Plus we are going to add some custom css in the button module to create the bottom border popup effect. 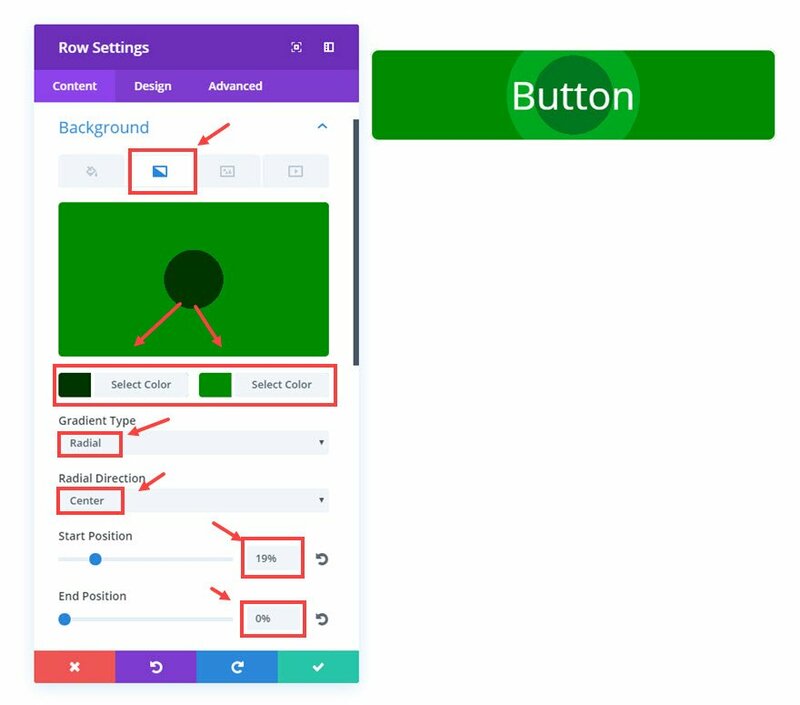 To create this button, you are going to use all 3 layers, the row for the background image, the column for the gradient background, and the button background for the semi-transparent blue color overlay. Now scroll down to the Column 1 Background options and select the gradient tab. That takes care of our second level of background designs. One more left. That’s it!. Check out your image button. To build this last button, we are only going to use one layer of background design. We are going to use an image blend of the background image and the background color to create a unique look. Make sure to delete the current gradient colors if you have them set. If not, you want be able to blend the orange background. Just click on the gradient tab and hover over the color picker box and click on the trash can icon that pops up on the top right. Now you can see the orange blend on your button. All done! I like this design for a blog contact button. I think it adds a nice personal touch. So far, we have been using the single column rows to serve as the backgrounds to our buttons. This allows us 3 layers of background design. However, if you would like to include a button on a different column structure, you can. You will just lose the row as a background layer. For example, let’s say you want to add a ½ ½ column row with a button on the left and some text on the right. Here is what you would do. Start with a new regular section and select the ½ ½ column row structure. Then add a button module to the left column. You can customize the rest of the button module later. Next, go to the Row Settings and scroll down to Column 1 Background options and update the background settings how you want. Now you have a button on the left column that is able to use column 1 background options for the design. Once you go back and update the button style to your liking, add your text on the right column and you are done! Yes. 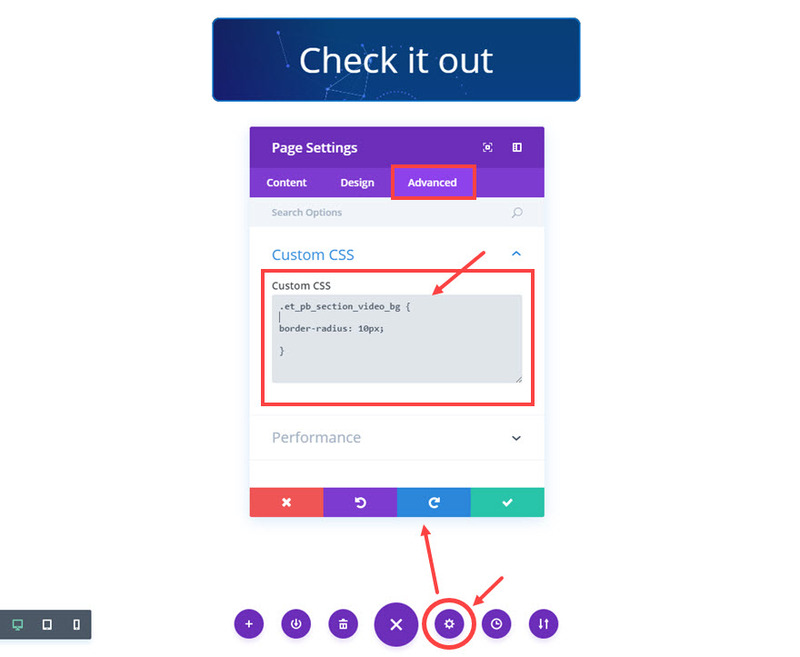 Because the buttons are built within the column structure of Divi, the buttons will respond nicely on all devices. You may need to revisit the button module settings to adjust how certain button elements adjust to different devices. Currently, the background-blend-mode CSS property is not supported by Internet Explorer or Edge and Safari has limited blending options. However the fallback is not considerable in my experience for most cases. If you are committed to IE, I would suggest testing them to find a happy medium that looks great on both IE and other browsers. I have to admit, this tutorial is pretty groundbreaking for me personally. In the past, I had to add a bunch of classes and additional CSS to my child theme if I wanted to style buttons creatively. But now that I can use Divi’s background options, my life became much easier. I hope that you can use this design trick to take your buttons to the next level. 🙁 images are all showing as broken links for me! This is a fantastic idea. I especially loved the hover video button idea. 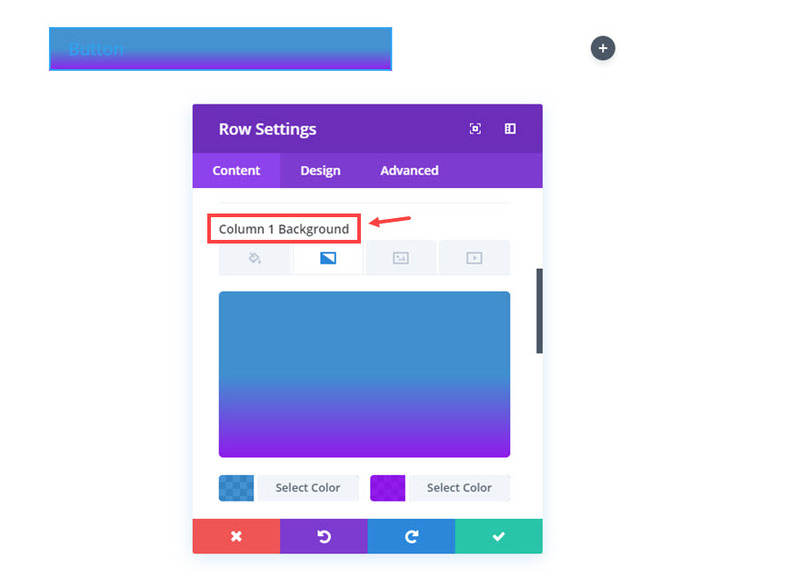 –collapsing the row around the button to get extra background style options is genius! We are looking into the problem. Sorry, German. Is it possible to make CSS transition on hover for gradients similar to what we have for colors (transition: all .2s)? Wow! Ok. I have a lot of creative thinking to do around buttons. I just don’t give them as much thought as I could, clearly. I’m excited to try one of these on my current project. Thanks. Completetelly awesome silly way of implementing this. It is not usefull to have a full row-full-column-full section button. We usually align our buttons inside a colum that already has other modules on it and that is inside a section that may have other rows. On what use cases would this will be usefull? CTA where you have to put your text on other section? Text paragraphs where user can choose betbeen two buttons that are rendered one above the other? ?? 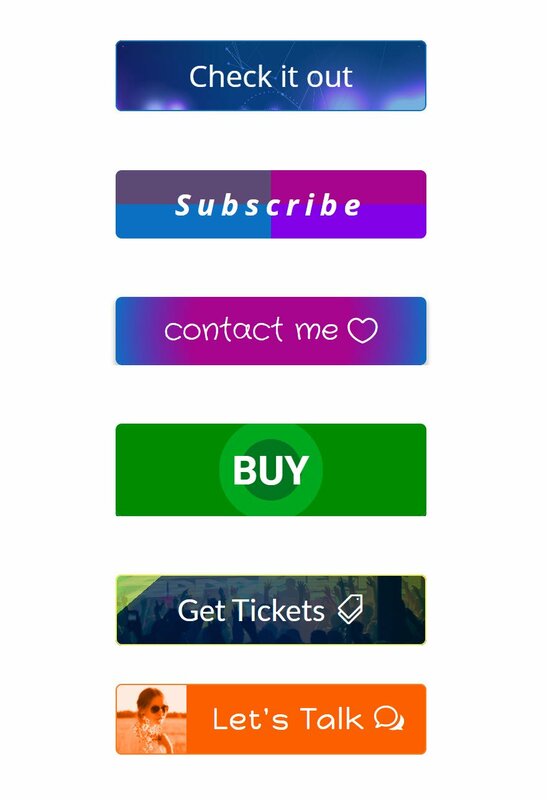 While I like some of the buttons’ looks, I can’t help but wonder if it wouldn’t be possible and preferable to achieve the same results using CSS on the button itself, rather than limiting the portability of the styled buttons by using the section, row and module to achieve a certain look? Yes, ‘manual’ styling requires some coding, but with all the free CSS generators available, it’s not hard to achieve a certain look even when you don’t know how to write the proper CSS yourself. I’m having trouble with the customized button on a page with a background color. Does this slow down the site? Will it work on the iPhone? I’m trying to use a background image in row. It’ perfect in desktop view but in tablet and mobile view the image flows 30px below the button. Do you experienced it? What could be the solution? I would check the padding and margin settings you have set for your row in tablet and smartphone. That may be your problem.